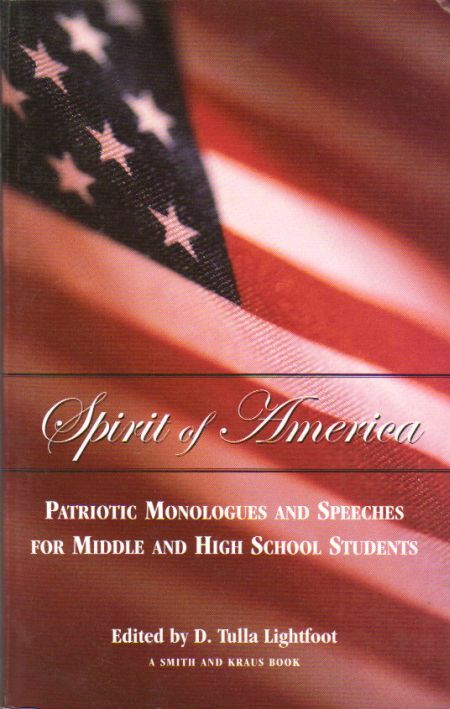 Spirit of America is an inspiring collection of patriotic speeches and writings ideal for middle and high school speech and forensics classes, assemblies, and creative performance events. Some of the greatest personalities, from Plato to Ronald Reagan, speak passionately about the timeless issues of our age: freedom, democracy, individual rights. They address what their country means to them: the greatness they see within it and their visions of what their country may become. This book contains a range of very famous speeches, including Martin Luther King, Jr.'s "I Have a Dream" speech, Plato's "The Republic," "Geronimo's Story of His Life," Susan B. Anthony's Speech on Women's Rights to Vote, and Maya Angelou's "On the Pulse of Morning," as well as little-known gems such as Emma Lazarus's "The New Colossus," Robert Riskin's "Meet John Doe," and George Smith Patton's speech to the 3rd Army, 6th Armored Division. Not only is Spirit of America a great tool for drama students, it also brings history to life through its extraordinary speeches.